A second critical nutrient that babies need in the first year of life are the ‘Essential Fatty Acids’ or EFA’s. Essential because your baby’s body can’t make them, they have to come from food. This article focuses on one of these called omega 3, which is very important for babies as its needed for brain and vision development. They are needed in every cell in your body, they have anti-inflammatory properties and are involved in the messaging between the brain and the rest of their body meaning they can affect mood, concentration, intellect and attention. 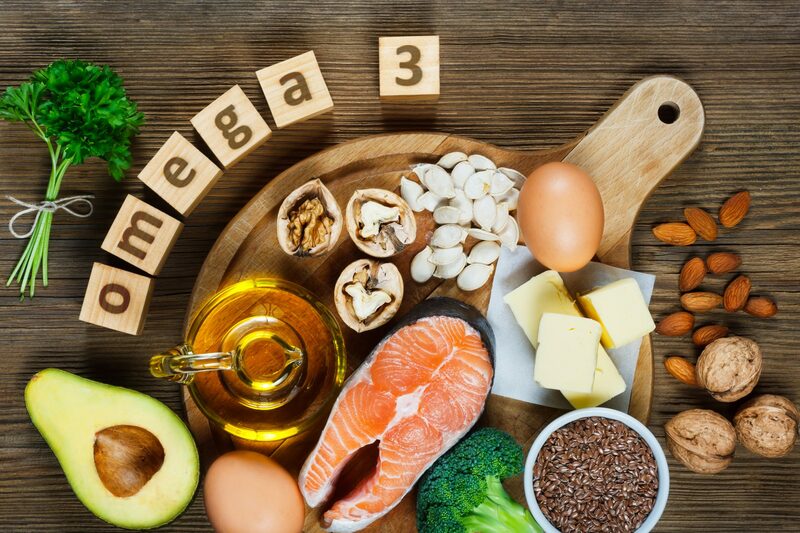 Of the three types of Omega 3, the human body can use DHA the most efficiently and you can find this in oily fish such as salmon, trout, mackerel, herring, sardines and anchovies. White fish contains a small amount of DHA and EPA too. ALA is found in chia seeds, linseeds, hemp, walnuts, pecans, hazelnuts, tofu, rapeseed oil and in some green leafy vegetables. However this type of omega-3 has to be converted by the liver into DHA and EPA in your baby’s body and the conversion isn’t very efficient, so eating DHA and EPA directly from oily fish is the best way to obtain it. 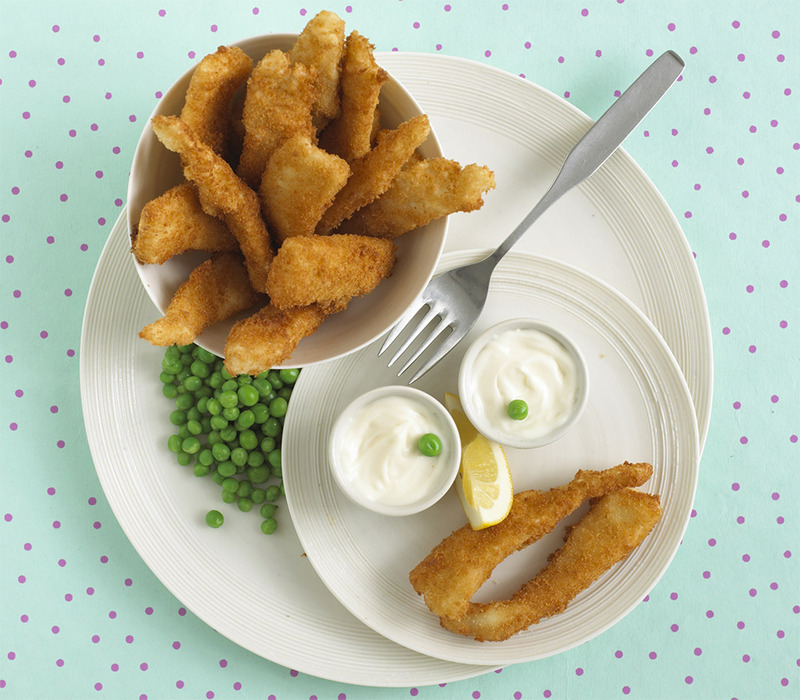 Government guidelines recommend up to 2 portions of fish per week, one of which should be oily. However as a nutritionist I don’t think it does any harm to make both portions of fish oily (as opposed to one white fish and one oily fish) as the amount of food babies and children actually eat is variable. You shouldn’t give you baby more than two portions however, as unfortunately oily fish can contain small amounts of pollutants which can build up in the body and we don’t yet understand how toxic this may be. Swordfish, shark and marlin however contain very high levels of the pollutant mercury and therefore it is advised that children avoid eating these. Tuna although not an oily fish, also contains a small amount of mercury too so children should have this no more than twice a week. There is good evidence that omega-3 plays a role in the development of your babies brain and retina in the eye. This is so important that it has been made law that all infant formula has to have omega-3 added. Omega-3 passes from mums diet into breastmilk, so breastfeeding mums should make sure they eat oily fish too. Don’t forget also that fish contains other important nutrients including protein, iodine, selenium, calcium, vitamin A and some vitamin D.
Is Omega 3 good for older children and adults too? 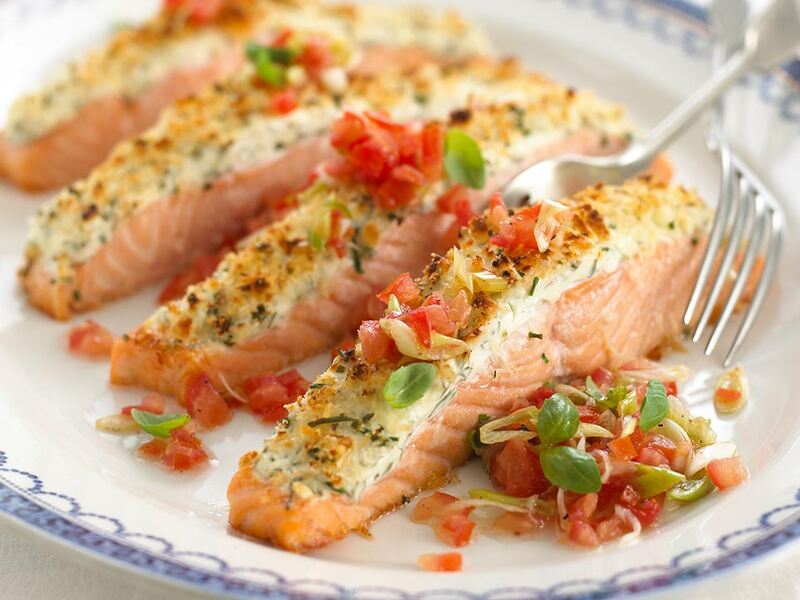 In terms of older children and adults, oily fish is good for us too. It has proven heart health benefits. Both EPA and DHA are responsible for healthy functioning of the heart, they keep blood pressure where it should be and unhealthy blood fats (triglycerides and cholesterol) low. However using oily fish supplements have not shown this effect so its important that this comes directly from food which indicates that there may be another compound in food that enhances the effects of omega 3 that we are not yet aware of! Should I buy farmed fish or wild fish? Farmed fish have higher levels of DHA and EPA than wild fish because of the food the fish have been fed. They’re also likely to be lower in pollutants too. I’m thinking about raising my baby vegetarian, should I be concerned about this? There is no doubt that the best form of DHA and EPA comes from oily fish. However in those who do not eat meat or fish, you can obtain ALA from plant-based foods which your baby’s body will convert. The conversion is slow and only small amounts are formed. So i urge you to really think about how important being vegetarian or vegan is to you in the early years. Plant based ALA include chia seeds, linseeds, walnuts, soya and tofu, hemp seeds, rapeseed oil, hazelnuts, pecans and green leafy vegetables. Algal oil (made from algae) contains DHA in a vegan form in an amount that is similar to oily fish so it may be worth supplementing your baby’s weaning diet with this. Nuts need to be ground or in the form of a nut butter for babies and children under 5 due to the risk of choking. If you eat eggs, you can eat omega 3 enriched eggs from hens have been fed a diet high in omega 3, and its the yolk where the omega 3 resides. What we do know is that those who follow a plant-based diet seem to have better conversion rates of ALA to DHA and EPA than those who eat a mixed diet. 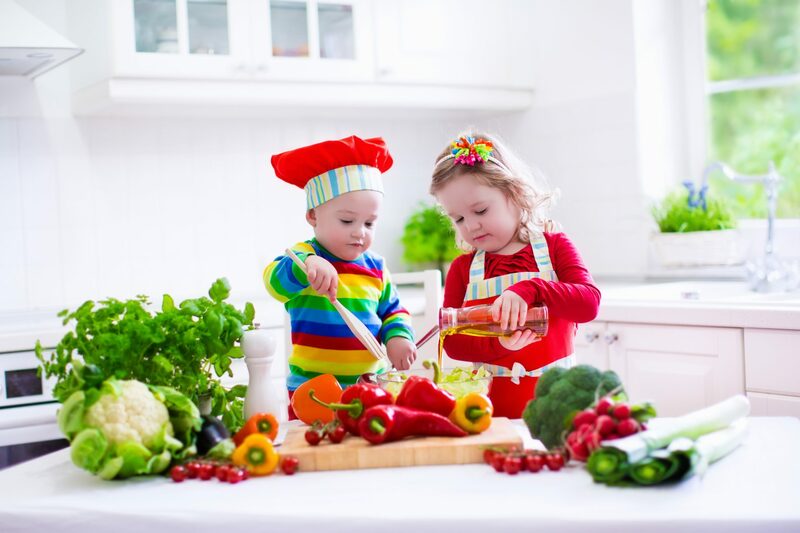 However because research in this field is limited, there are no guidelines regarding the amount of these foods your baby or child should eat. The take-home message from me as a nutritionist is to consider how important being vegetarian or vegan is to your family and if you decide its the way to go, make sure you offer a variety of these every day. I’ve heard omega 3 can be helpful in managing behaviour and concentration. Is this right? There is some evidence that omega 3 can be helpful in terms of reducing aggression, clumsiness, mood and temper and improving sleep and reading ability in children with ADHD. Both supplements and dietary sources of omega 3 seem to work. Do see a dietitian though as there are other dietary aspects to consider in combination with omega 3 for children with ADHD too. 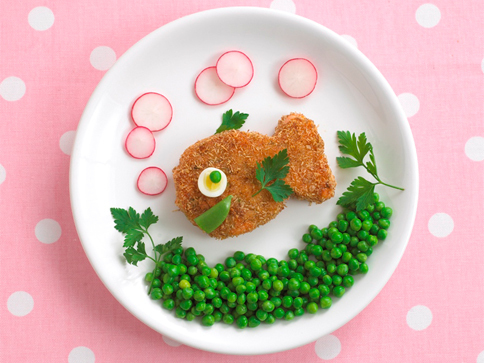 What about omega 3 for helping my child do better at school? 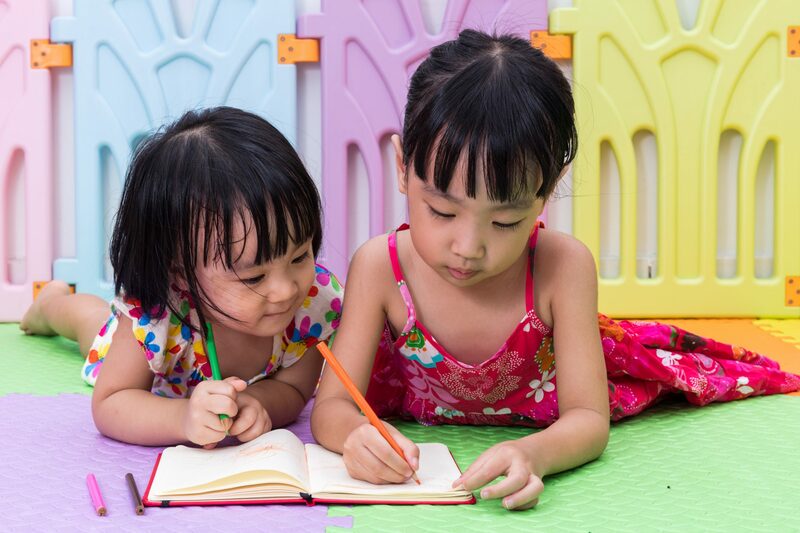 Although there is no evidence to suggest that omega 3 improves intellectual ability, there is a suggestion that both supplements and dietary sources of omega 3 improve immune function, memory, verbal learning, comprehension, vocabulary and classroom behaviour. The research is not conclusive but as there is no harm in giving your child an omega 3 rich diet, its probably worth considering hen planning your families meals. 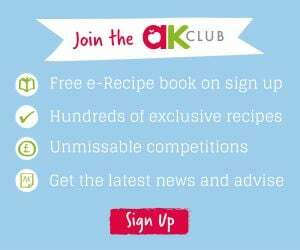 For more information visit Sarah Almond Bushell’s website.